Art Fag or Bust! : Hello Cowboy! So, i'm finally starting the blog I always talked about. ramblings. I will also try to highlight other artists/crafters who influence and inspire me, along with any exhibitions, performances etc that I think are worth a mention! Quick bit of background: Im a double Fine Art graduate (BA and MA) with a love of making - pretty much anything that keeps my hands busy and I'm in! I love sewing, felt, pretentious contemporary art, owls, film, photography, zombies, animation, baking, music, drawing and comics. 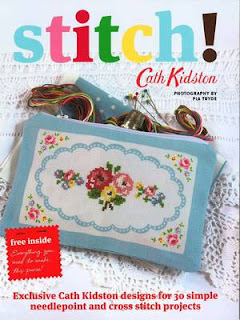 My mum bought me "Stitch" by Cath Kidston for christmas last year and I've been stitching non-stop since then. I've always liked Cath Kidston designs, but could never afford the real thing. This is the only way I'd ever be able to have these cushions (and they're handmade - whats not to love!). So heres the finished article! 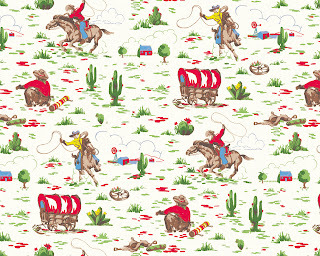 I managed to find some similar 'cowboy' themed fabric in Leeds City market which I mounted the cross-stitched panel onto with some red piping edges and decorative stitiching. One Ikea cushion pad later and here we are!